I was on a day trip to Boyana church and Rila monestery in May 2015. These two UNESCO sites are places that I highly recommend to visit. IMO seeing them on your own can be tricky/disappointing because access to these places isn't easy and also you may not get the information that a tour guide would provide you. So, I have to say thank you to Martin the tour guide because he really added something to the visit. 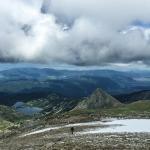 I had a great day off to Rila monestery with Martin who was my guide and I recommend this trip to everyone. Don't hesitate and do that! Thank you Traventuria for a really well organised trip. We took a chance by booking this on-line but couldn't have been more pleased with our experience. We asked for a part-guided trip for Bird-watching and had a really good time with Tisho, who had a vast knowledge of the area and birds in general. 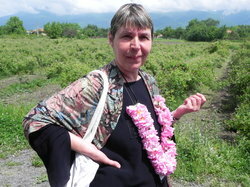 A pleasure to be with and accommodation, food etc was great in the Eastern Rodopes. We then transferred to the Western Rodopes with Tisho again and then had free time for walking in this lovely area. Time spent in Sofia and Plovdiv was also really interesting. A good, all round experience. 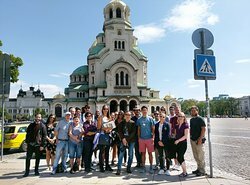 I was really pleased with this day trip for our group of 4 visiting Sofia! I was able to arrange and book the trip on a day of our choice and the response from the online team was always very fast and helpful. The day was great - we were picked up from our hotel and driven in a very comfortable transport van that even had wifi! Our guide Martin spoke great English and told us lots of interesting historic facts and showed us all the main sites! We enjoyed the day and would highly recommend the company and the tours offered to anyone considering a day trip from Sofia! We took two day tours with Traventuria while staying for a week in Sofia and were delighted with the itineraries, vehicles, and guide. Our hotel recommended this company and arranged both bookings. We paid at the end of each tour. The first tour took us to the charming towns of Plovdiv and Koprivshtitsa, cost 39 Euro each and lasted 13 hours. We were picked up at our hotel on time by George, our driver/guide, in a clean, well-maintained vehicle. Two others took the tour with us. George proved to be knowledgeable, upbeat, professional and focused on his guests. He spoke excellent English and was a safe driver. The success of any tour depends on a variety of factors but must include a good guide. George was outstanding and a fountain of knowledge about his country. He obviously cares deeply for Bulgaria. We started the tour by walking through the charming old part of Plovdiv with its colorful big houses, formerly owned by nobles, and we stopped at many sites. In the afternoon, we visited Koprivshtitsa, where the Bulgarian uprising against the Turks began. This tour lasted longer than usual because we were a small number and no one had to be back in Sofia at a specific tme. Thus, we proceeded in a leisurely fashion and had time on our own to explore independently. The second tour took us to the UNESCO-recognized Rita Monastery and Boyana Church. It cost 25 Euro each and lasted 8 hours. This time we met George, again our guide, behind Al Nevski Cathedral. There were 11 participants and a driver. George ensured that this was another outstanding tour for us. We could not have asked for more from the day. Based on our experience, I can highly recommend Traventuria. I only had 2 days and wanted to stay overnight in the mountains. Travenuria was very patient and helpful over rounds of email in tailoring something to my wish. I ended up having an amazing time hiking in the mountains and then staying over-night at the Monastery (to be picked up by a different tour to Boyana church the next day). Huge credit goes to my guide Martin. Without him I would not have made it where I wanted to, or would have gotten terribly lost in the fog! Thanks again for a couple fabulous days. Thank you for the kind words. It was our pleasure organizing a tour a bit off the beaten track. 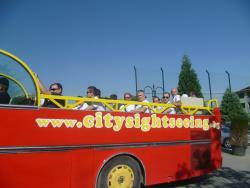 Our team enjoys serving clients, which like to go further then the mass tourists. Our wishes to you are to conquere a lot of peaks in your life and never to stop dreaming of new ones. One of them could be Peak Musala - the highest peak on the Balkans.